Do you wish your garden had more privacy, yet don’t want it to feel like a fortress? Is your garden wall visually uninspiring? 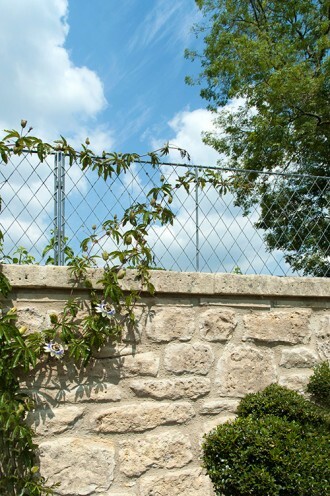 A wall top trellis is a great way to add a decorative element to a plain wall or fence and to create privacy. When clothed with plants bearing blossom and foliage, your garden walls and fences become decorative features. Many climbers provide strong colour, while others give a more diffused backdrop to the whole garden design. A trellis on top of your fence or wall is a subtle way of creating seclusion for your garden, it will give glimpses of what lies beyond but still maintain a sense of privacy. Once your climbers are fully established, a wall top trellis will also provide additional security and help to block out noise. Our wall trellis panels are lighter than timber, yet more durable and offer the perfect solution for additional screening above your garden or boundary wall. With their elegant, pared down design, our privacy trellises will still look graceful when first installed, whilst you wait for your climbers to swathe the latticework. If you install them in the winter, the barrier of climbers between you and your neighbours will grow gradually over the summer months, which is subtler than the sudden installation of a block fence or wall. The trellis panels can be attached to the top of your garden walls and are easy to install. Designs can vary greatly depending on your existing wall design and we can create made-to-measure trellis panels to fit specific site conditions.